Financial aid applications for the 2019-20 school year are now available through Facts Grant and Aid. Facts Grant and Aid is a used by BLOCS, Holy Family School and the Archdiocese of Philadelphia. Families only need to complete one application to be considered for BLOCS, EITC fund, Foundation for Catholic Education and Holy Family Scholarships. 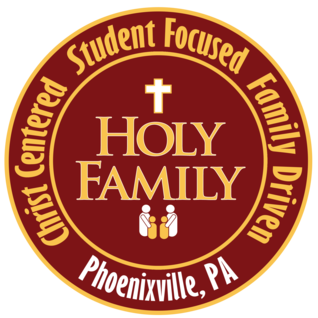 Since Holy Family does have non-EITC funds available for distribution, we suggest you still fill out and submit a FACTS application to be considered for aid, even though their income exceeds the EITC guidelines. Please click here to apply online. The fee to apply is $30.00. March 1, 2019 - Families applying for financial aid must complete an application and submit the necessary supporting documentation to FACTS Grant & Aid Assessment by March 1, 2019. If your family does not apply for tuition assistance before March 1, 2019, your application will be accepted but the majority of funds will be disbursed to the applicant pool received by the March 1 deadline. Newly registered families may apply on an ongoing basis. Scholarship aid is awarded at the end of the current school year for the next school year and applied to the family&apos;s balance before the first payment is due on July 1st. Any family that is struggling financially, whether you meet the requirements for receiving assistance or not through this program, should apply to be considered for any other tuition assistance that may be available for the 2019-20 School Year. If there is no application submitted through the Facts Grant and Aid system, no monetary assistance can be considered for your family. For questions about the FACTS application process, please contact FACTS at 866-441-4637.